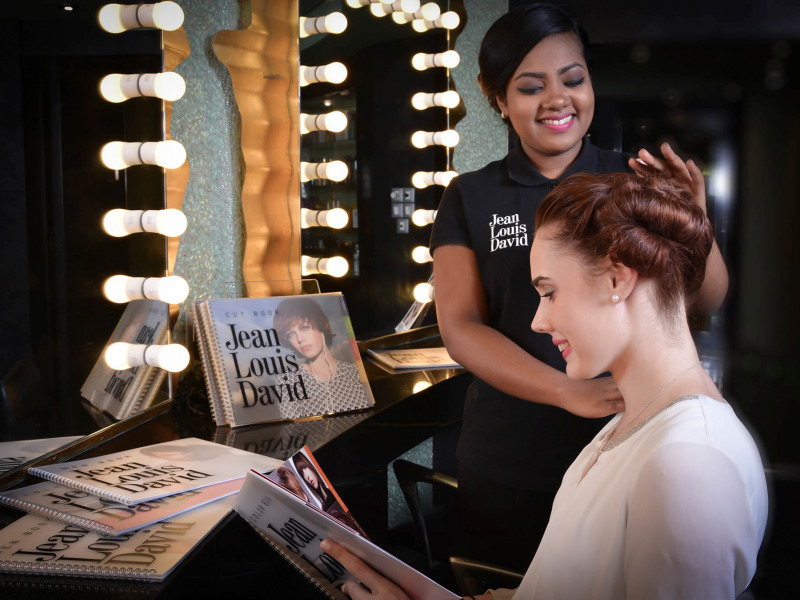 Geneva, Switzerland, and Paris, France, 23 June 2016 - MSC Cruises, the Swiss-based world’s largest privately-owned cruise line and market leader in Europe, South America and South Africa has today announced an exclusive partnership with global hairstyling brand Jean Louis David. The Company will introduce Jean Louis David salons across its fleet by the end of the year – another industry-first. The new service will further enhance the already wide and continuously enhanced range of beauty and wellness services available exclusively to its guests across the whole fleet. MSC Cruises’ guests will be now able to also benefit from a whole host of high-end hair styling services from Jean Louis David trained stylists also whilst at sea. It can be a challenge to find the time to have a haircut before a holiday, similarly managing hair styling in different climates and while at sea can be tricky. MSC Cruises guests can now benefit from a comprehensive range of high-end, exclusive hair styling salon services whilst at sea, so that they can enjoy and indulge this additional element of pampering and look fantastic, whatever the occasion. The complete offering includes everything from a shampoo and style through to a hydrating oil therapy to revitalise hair. Jean Louis David is an innovator in the world of hairstyling and is dedicated to excellence in service, thus mirroring key values of MSC Cruises and its guest offering. The brand is internationally recognised, with over 1,000 salons worldwide and the new partnership sees the initial opening of 11 salons at sea with plans to provide this service on the new ships that will be coming into service beginning with MSC Meraviglia in June 2017. Mr Franck Provost , owner of Jean Louis David comments: “Just like MSC Cruises, Jean Louis David has always sought for excellence in customer service. Both brands offer fashion and lifestyle experience, bringing them together made immediate sense when it comes to enhancing beauty and providing pleasure and well-being. A cruise being a wonderful and special experience for each person, we are proud to rise to the challenge of adding to the never-be-forgotten holidays." 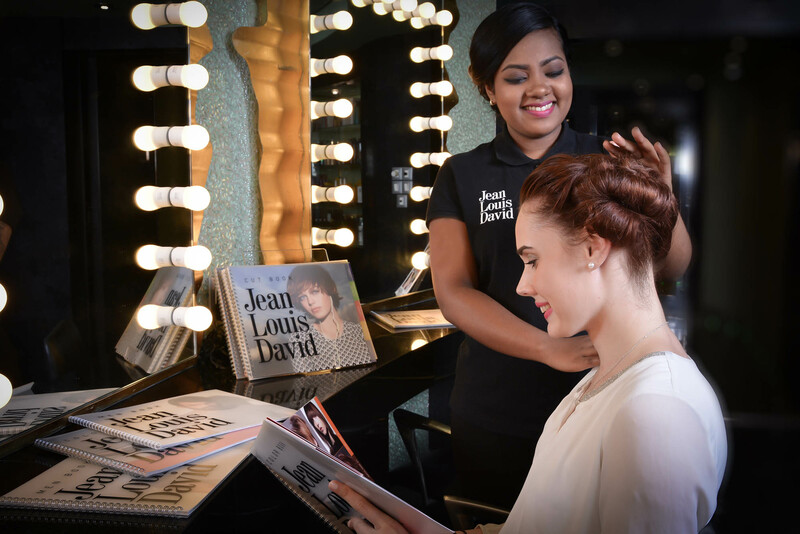 The salon stylists on-board the ships will be expertly trained by Jean Louis David specialists, who are always at the forefront of the latest styling and hair care trends. Not only that, but treatments will also represent great value for money with land-based pricing extended also on board. A range of well-known Jean Louis David products will also be available in the salons for purchase for either on board use or for guests to take home. The first Jean Louis David salons are already open on MSC Preziosa, MSC Fantasia and MSC Poesia. Guests can expect to see the new salon opening across the entire fleet by the end of the year. A distinguishing feature of an MSC Cruises experience is the full range of services that guests can enjoy while at sea, from beauty treatments and therapies through to complete relaxation and rejuvenation in the MSC Aurea Spa. An authentic Balinese Spa experience on board each of its 12 ships with a distinctive menu of spa and beauty treatments. A cedar wood sauna and Turkish bath, over 20 types of massage, 20 body treatments, 26 different facials as well as a selection of manicures and pedicures are standard across many ships in the MSC Cruises fleet. A range of Medi-spa treatments developed by internationally renowned specialist Professor Piero Berrino. Mya Advance, Q-Frequency and electroporation rejuvenation and anti-aging procedures are delivered by specially trained spa doctors on board. Adding another touch to its on-board experience, MSC Cruises was the first cruise line to develop its own fragrance – MED by MSC. This special scent has been created in partnership with sensory experts from around the world and takes influences from the elegant side of the Mediterranean the brand stands for, with hints of luxurious fig, sweet bergamot and earthy vetiver. The fragrance is designed to leave guests – whilst on board one of MSC Cruises ships - feeling invigorated across all their senses – delighted with what they’ve seen, touched, heard and tasted. MSC thus extends its sensual reach to the very fragrance of a journey, subtly surrounding guests a truly unique aroma that will enhance their memories of an MSC cruise holiday for years to come. The scent is in fact available as a take home gift as a room diffuser, room spray or Eau de Toilette, all available exclusively from the onboard shop. The Provalliance Group is owned by Franck Provost, one of the most famous hairstylists in the world over the last 40 years. With 12 brands in its portfolio, Provalliance is the European n°1 in the hair beauty industry. With 800 salons all over the world, JEAN LOUIS DAVID is the leading brand in the company; Jean-Louis David opened his first salon in Paris near the Arc de Triomphe in 1960, and gained immediate and amazing success among beauty magazines (Elle, Vogue, Marie Claire…), working with photographers like Herb Ritts and Helmut Newton or movie stars such as Jean Seberg. 50 years later, the brand is still going strong, opening new salons on each of the 5 continents every year. The brand stands out for its resolutely modern take on hairdressing and its Parisian fashion flavor.